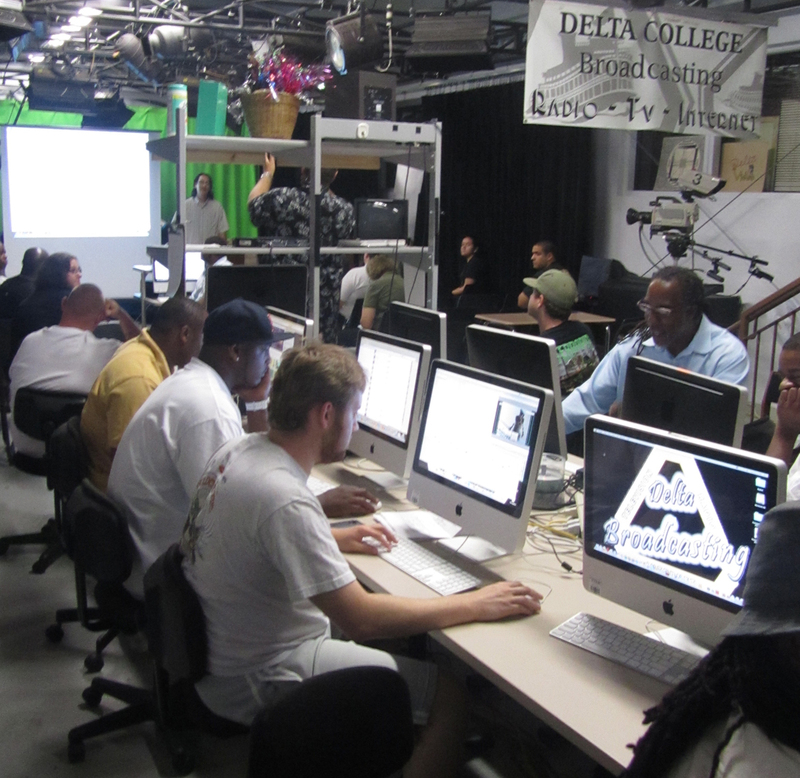 Delta College’s Radio/Television (RTV) lab will soon be expanding its scope with the chance to air student produced programs on local access television. RTV has slowly expanded its horizons with its director and program instructor William Story assimilating new types of media into the curriculum. It started with the campus radio station, then was followed by the introduction of Internet broadcasting and podcasting in the coursework, according to Story. Those steps were proceeded by personal websites and YouTube accounts so individuals without the luxury of expensive equipment and a crew can still show their work to the masses. The problem with each of these media outlets, though, is the reliability of exposure. Television provides a more tangible means to reaching a broader audience. The addition of adjunct instructors Adriana Brogger and Rod Villagomez means more expansion, particularly in producing broadcast programs for a wider audience. “One way to prepare for a professional media career is to generate and present professional level broadcast programs. Instructors Brogger, Villagomez, and I are currently offering our RTV students such opportunities (with the broadcast),” said Story. Brogger and Villagomez are former RTV students turned adjunct. “It’s weird but even when me and her (Adriana) were still technically students, we helped Mr. Story with the other students but before if I didn’t know the answer to a question I could always ask Story for the answer, now that I’m here and in this position there’s no bail outs you have to know your stuff,” Villagomez said when asked how it felt to now be in a mentor role. Villagomez said that most likely the first two shows that will be ready will be a newscast and one focusing on sports. “We’ve had access to Comcast for some time now, the problem is getting a strong reliable crew to keep at it,” said Villagomez. RTV programming will begin airing next week on Comcast Channel 26. The shows by Delta College students are expected to run every Thursday at 5 p.m.